Improve your business processes with the help of Interfacing’s BPM Professionals. Business Process Improvement (BPI) is a discipline that is aimed to fine-tune organizations, resulting in more efficient productivity. BPI is significant today due to the constant expansion of technology especially in the business realm. It is important to stay up to date in technological infrastructure advancement in order to succeed. It allows organizations successfully produce high quality products and services while being cost-effective. Since it is a strategic planning process, it identifies points of weaknesses while adding value with improved operational performance which gives one an advantage in the competitive market. Implementing a business process improvement system will only add value to the organization. Process improvement identifies and eliminates unnecessary waste. Through procedure redesign or process automation, it reduces tasks completion time with less man power, resulting in better allocation of time and a more productive workplace. Business Process Improve facilitates collaboration between all sectors of the workplace. Increased transparency will not only ease communication but also makes sure each employee is accountable for his/her tasks, allowing for optimization of employee performance. Automating will reduce redundant tasks as well as decrease the number of human errors produced. Proper monitoring and optimization of processes will result in consistent executions of tasks with minimized risks. Standardization helps in assuring the company is complying with regulations, industry and governmental standards. Regulatory compliance allows for a more organized and manageable workspace. Interfacing uses the Define, Measure, Analyze, Improve, Control (DMAIC) methodology. This encompasses a combination of the Lean and Six Sigma methods which allows for maximized benefits. This data-driven methodology lets us understand the problem, identify the root causes, and propose potential solutions. 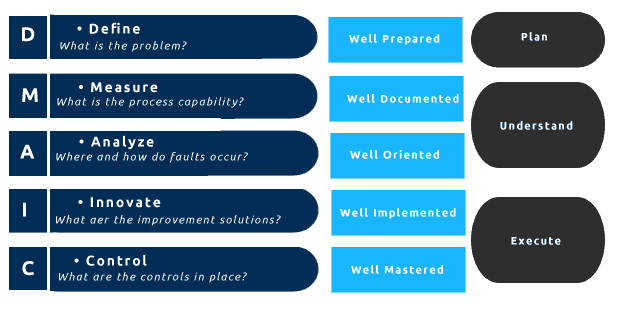 DMAIC consists of 5 phases: Define, Measure, Analyze, Improve, and Control. Defining the problem allows for better understanding of the issue in order to properly execute the necessary steps towards a solution. The execution of each component allows for a better understanding of a situation, providing a road map to achieve goals more quickly and better management. Measuring the process performance and analyzing determines the root causes of weak points. The Improve and control phases eliminate the cause of poor performance and allow one’s organization to maintain a steady state of continuous improvement. 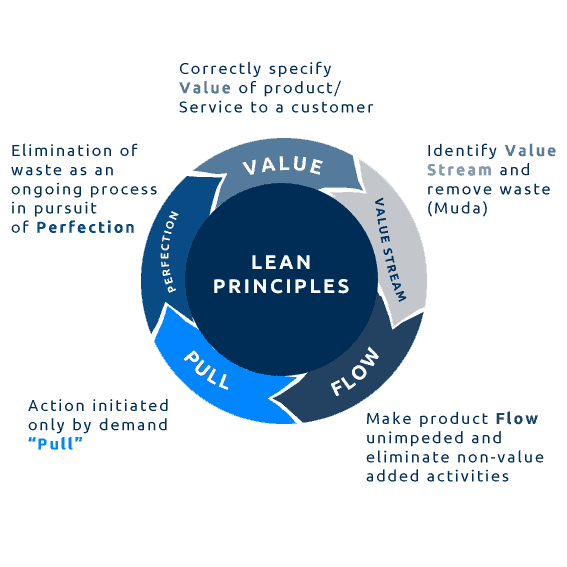 The Lean method is a customer focused approach that promotes amelioration of organizational operations by eliminating waste. The act of disposing unnecessary dross in a system maximizes not only customer experience and value but also the organization’s processes. 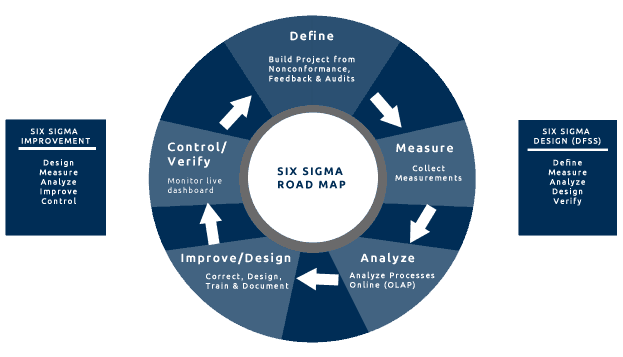 The Six Sigma methodology provides tools to enhance organizational capabilities. It reduces defects and process variations while increasing performance and improvement of quality. Applying these tactics will result in processes with controlled and improved performance. Although each methodology can perform well alone, at Interfacing we implement a combination of all three to maximize their potentials and this allows us to provide only the best outcomes for our clients. Interfacing can help you get your company to the point of optimization. Contact us for more information on process improvement.